Dictating such a transformation via preschool through high school, students would then essentially have a common core of prescribed values, attitudes and beliefs. For our Want-to-Be social and economic planning set that means future actions of most people would be both predictable and manipulable. The Planning Set, as I will call them, that we now know contains many different groups intent on fundamentally transforming the world that exists whether anyone consents or not, will know precisely what Values and Beliefs have been internalized and what visual Images, Words, and Phrases instilled. All become unconscious triggers available to command action. Students, adults, cities, economies, and societies have each been designated by the Planning Set as subject to their designing efforts. We may start with differing values, beliefs, and experiences, but the new vision of education puts all these things on the table for change. 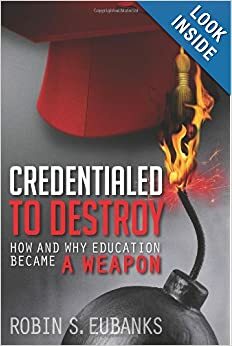 Keeping us lulled as to what is being done to us and our children we get euphemisms like Classical Education as we have just covered, OBE, or Competency-based education to describe the new techniques. Stated goals of ‘Learning’ and ‘Student Growth’ make the changes seem salutary. As I mentioned in a comment to the previous post, that internalized set of Images, Ideas, Principles, Concepts, Values, and Beliefs gets assessed via initial Benchmarks, and then changed and monitored through assessments. Can you say Continuous Improvement? Everyone ready to sign their kids up for one of the bedrock principles underlying the American heritage? Not so fast if we read the report and discover that Liberty has been reconceptualized to be “grounded in the notion that liberty must be just and must serve the common good…liberty [must be] reciprocal and responsible…[Otherwise] when liberty is de-coupled from one’s responsibilities as a citizen, it threatens to become selfish and divisive.” I have linked to the report and know both American and English history and, unfortunately, the fundamental tenets of the Marxist Humanist political philosophy. I get to recognize when Liberty as a guiding concept has been completely redefined to mask committing the student to a notorious normative vision for how the world might operate. Students and parents though do not get that opportunity. They are not likely to recognize that Liberty “as conceptualized by the Museum and this study…becomes the bedrock for societal flourishing and ethical growth of both individuals and society” just turned into a tool for achieving Marx’s famed Human Development Society. Like the Classical Education we just examined the web-based curricula and interactive exhibits with Young Heroes is designed to create “pro-social changes in student behaviors” grounded in the stipulated virtues. Why is that post-program search for continued changes in behavior so crucial? Because it is looking for proof the learning experiences created a change at a neural level in each of those student’s Cognitive Map, Worldview, or Mental Model. When researchers found “increased action-oriented civic and social engagement, identifying a number of social issues, upon which to focus their community projects,” they found that the changes in what was believed and valued were driving a change in behavior in desired directions. Desired first, of course, by the Planning Set and now by the students themselves, if they are even aware of why they are now interested in things they may have previously never noticed, much less acted to change. http://scienceofvirtues.org/ came up as the Templeton-funded Project at U-Chicago to create a New Science of Virtues. If that sounds like an excellent way to get at the values part of the Cognitive Map, I thought so too. There were conferences in 2010 and 2011. Perusing the Virtues Project Abstracts I discovered that the Divinity School was involved since Virtues were seen as a means to achieving ‘new spiritual knowledge.’ Chicago’s Center for Cognitive and Social Neuroscience administers the Project. Now would probably be a good time to remember Chapter 6 of my book and how the Planning Set wants to use education to gain a cultural evolution since biological change takes too long. But those characteristics are being prescribed and instilled via education without notice or even consent. Like the experiences obtained though the reconceptualization of Liberty, the curriculum is designed to guide and motivate certain behavior from a subconscious or even unconscious level. Cool for the Planning Set who get power, grants, and promotions for pushing this transformation of the purposes of education. Not cool at all for parents and students unaware of what ‘brain-based learning’ now really means or the taxpayers being asked to fund all these transformations. Theories about Mental Models or Computational Neuroscience are not innocuous terms for research either.